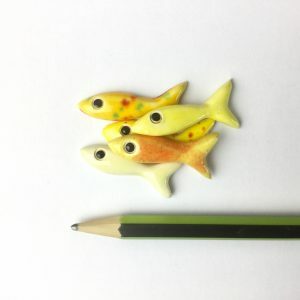 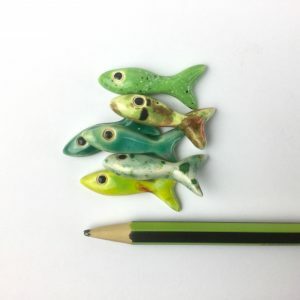 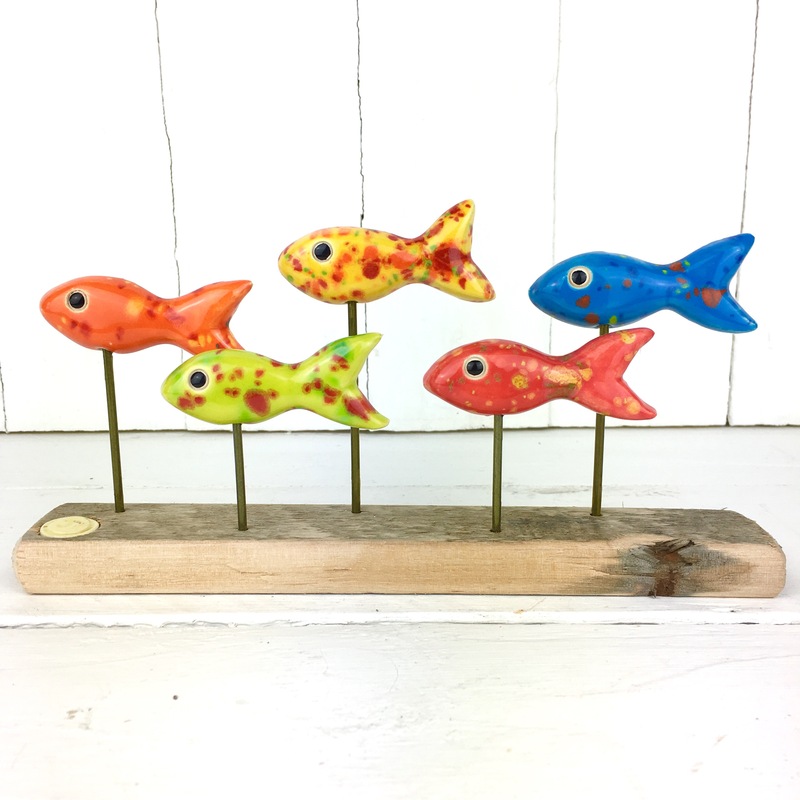 This is a smaller rainbow version of my classic shoal but as the saying goes ‘good things come in smaller packages’! 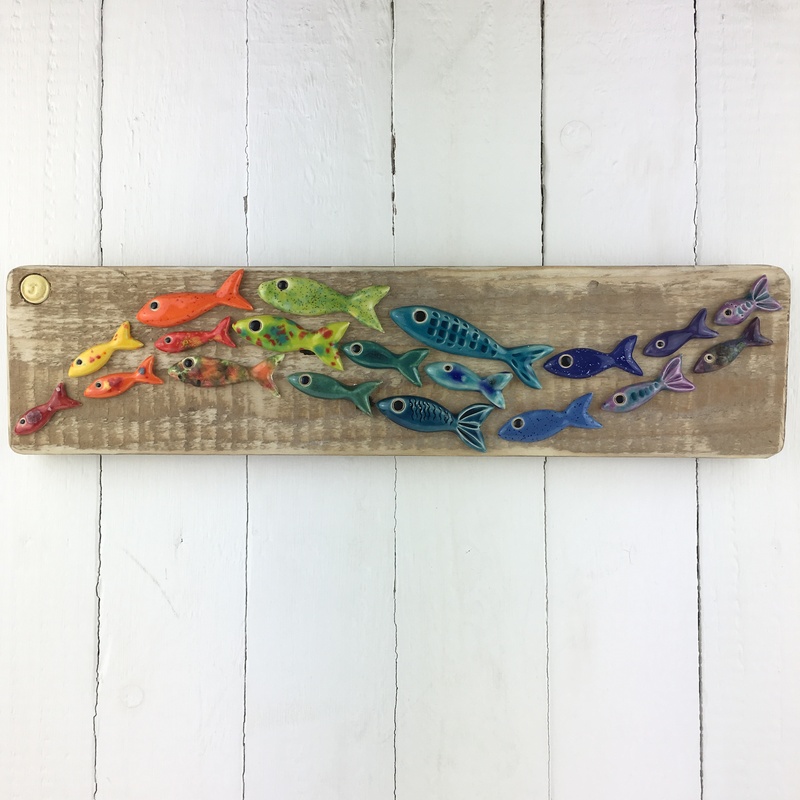 The colours are bright and vibrant and show the colours of the rainbow to great effect. 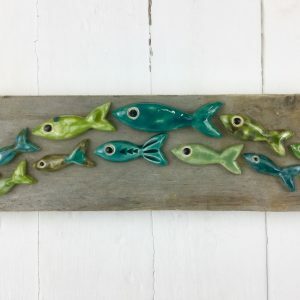 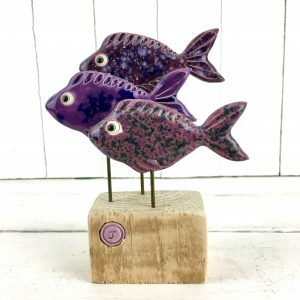 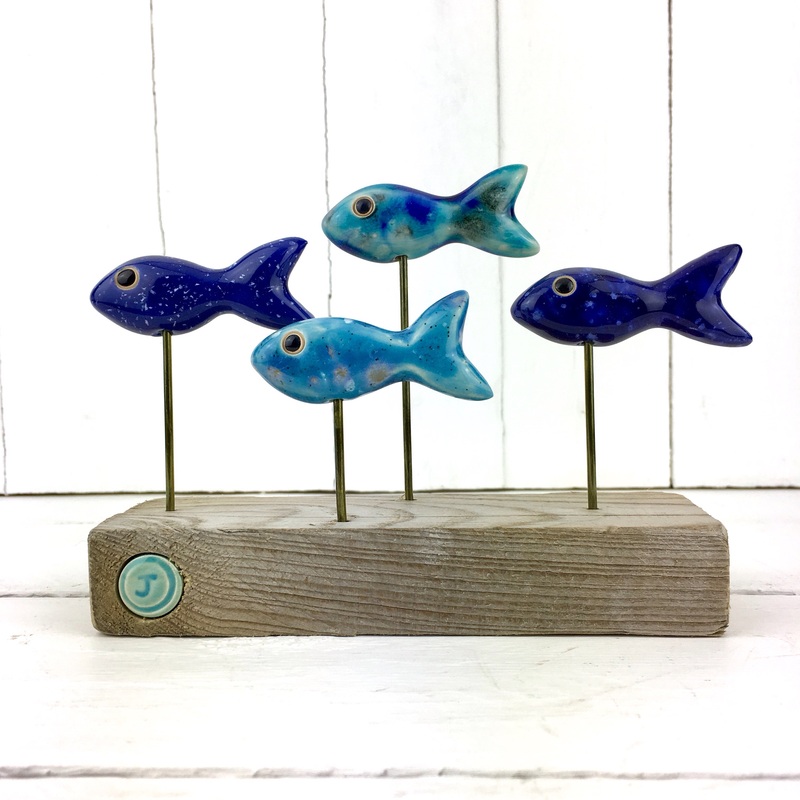 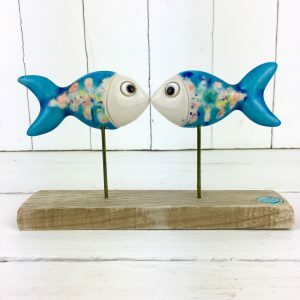 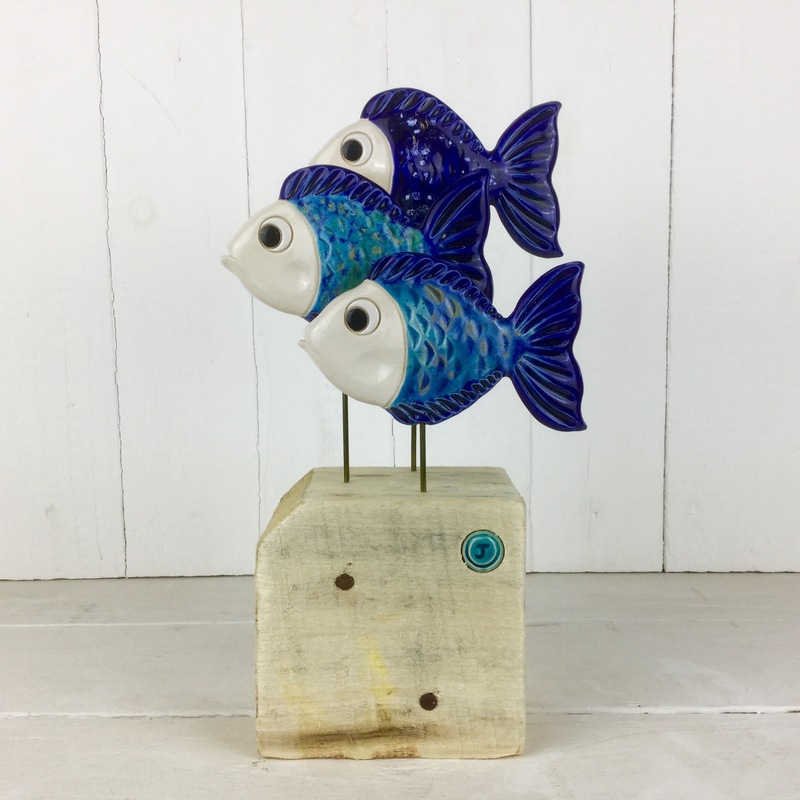 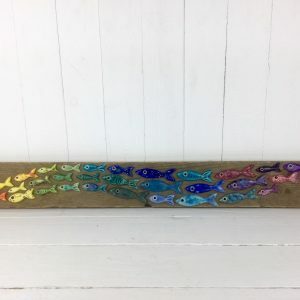 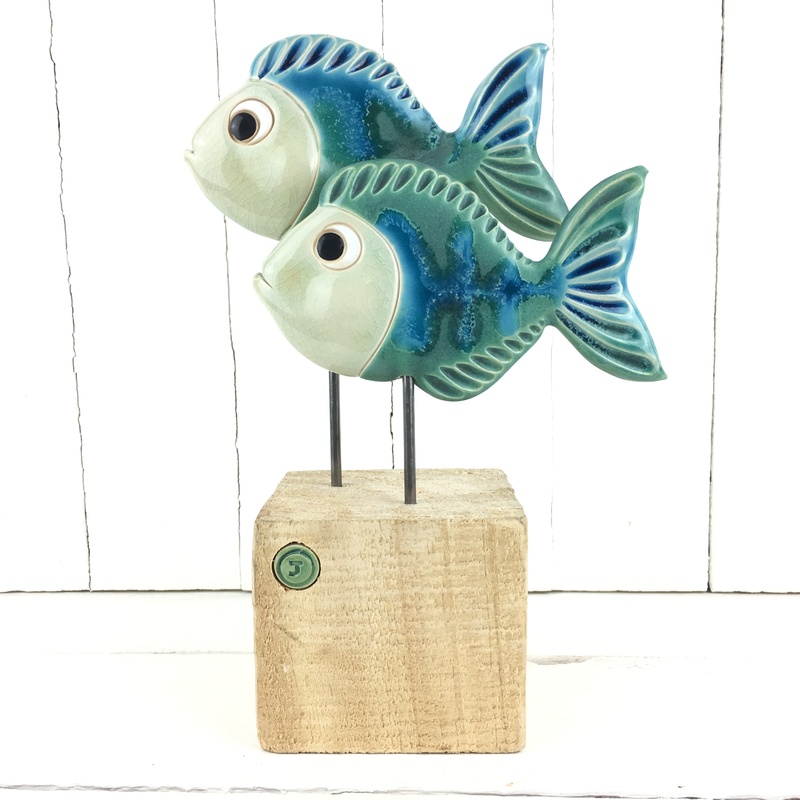 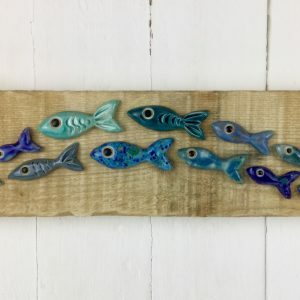 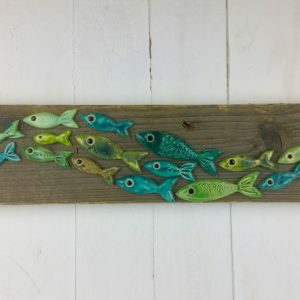 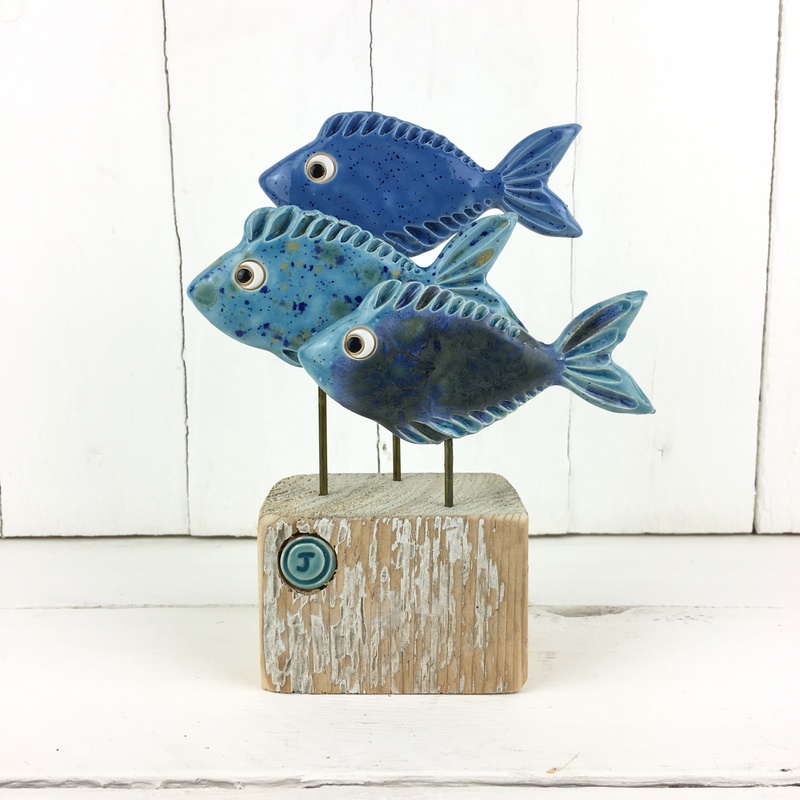 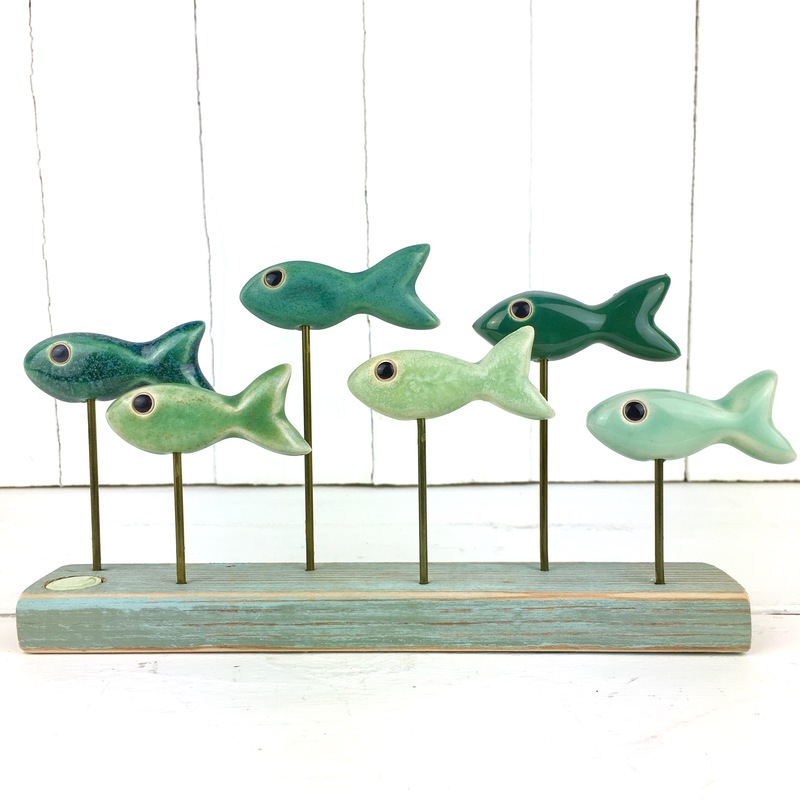 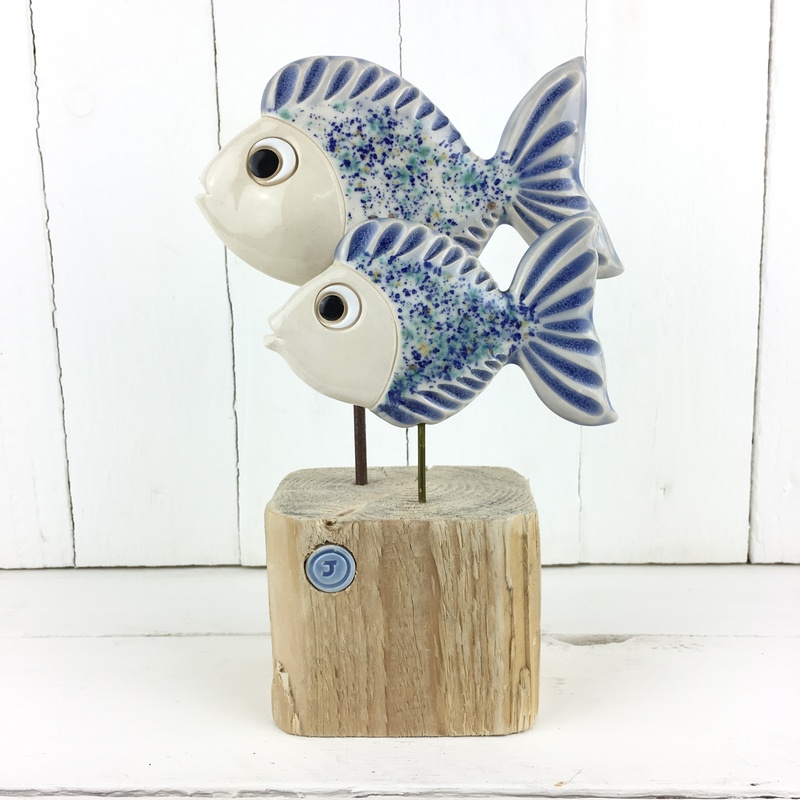 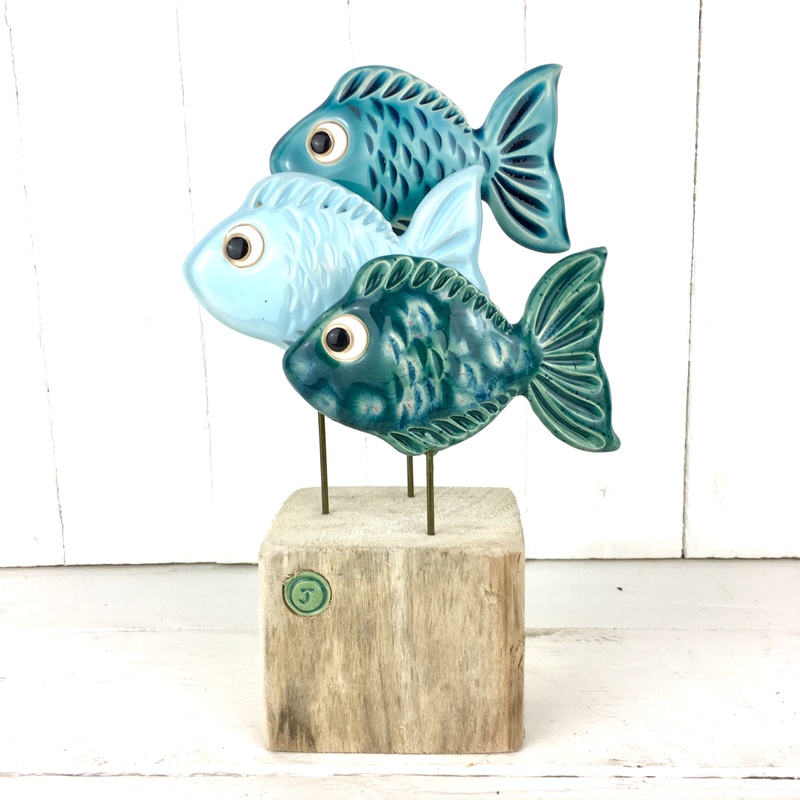 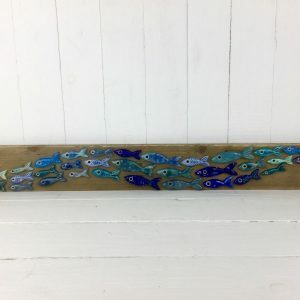 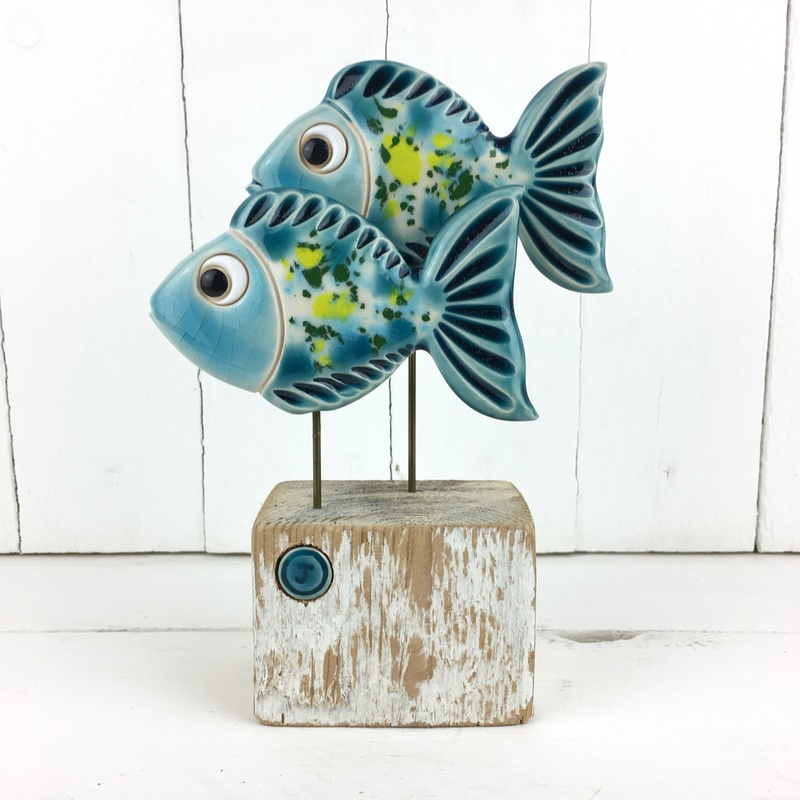 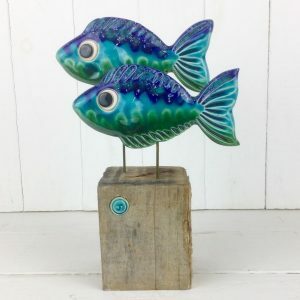 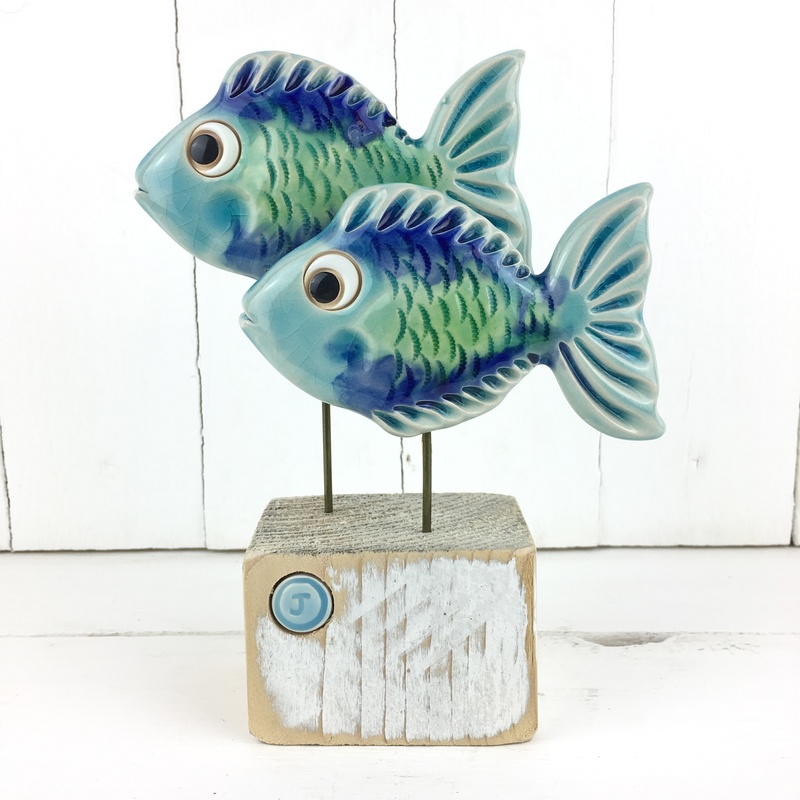 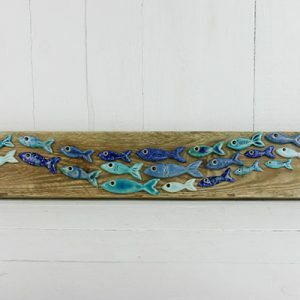 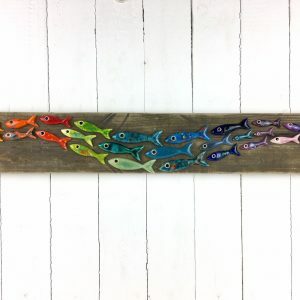 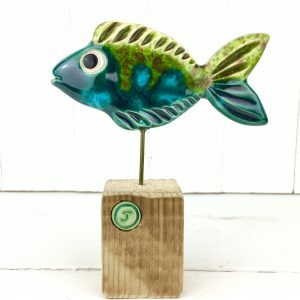 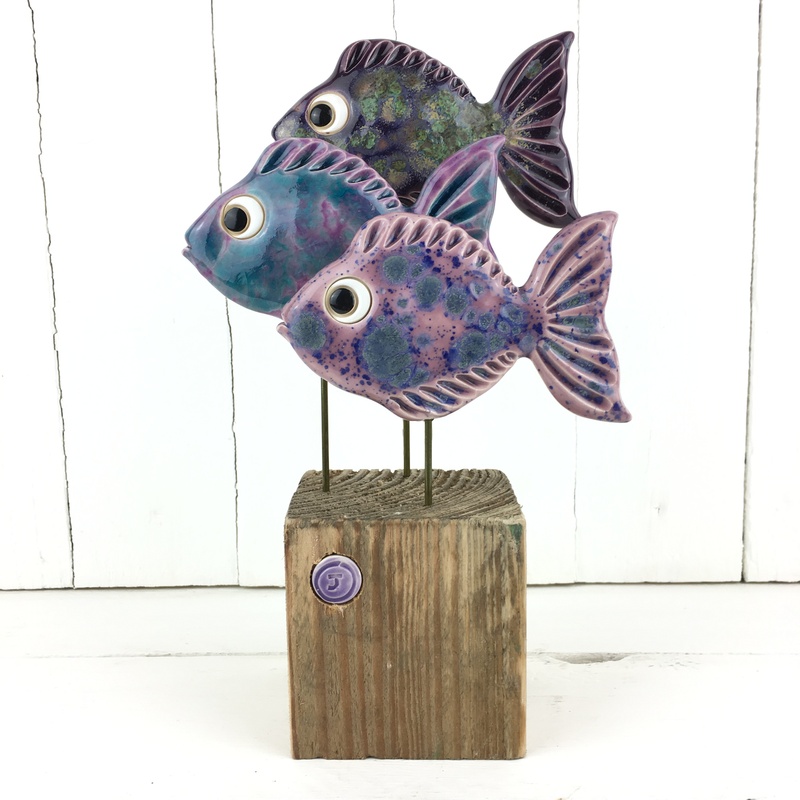 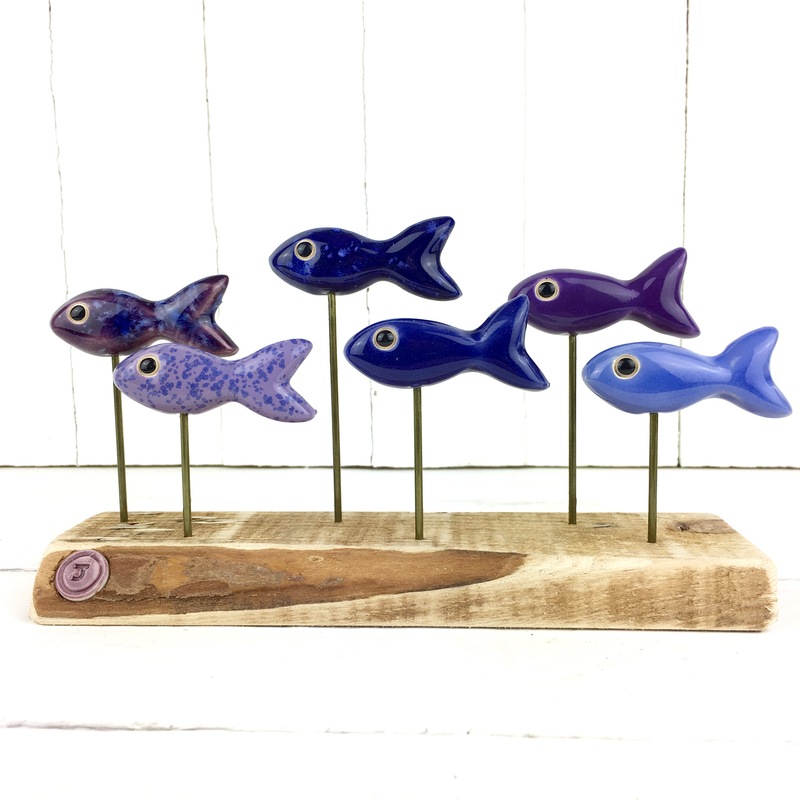 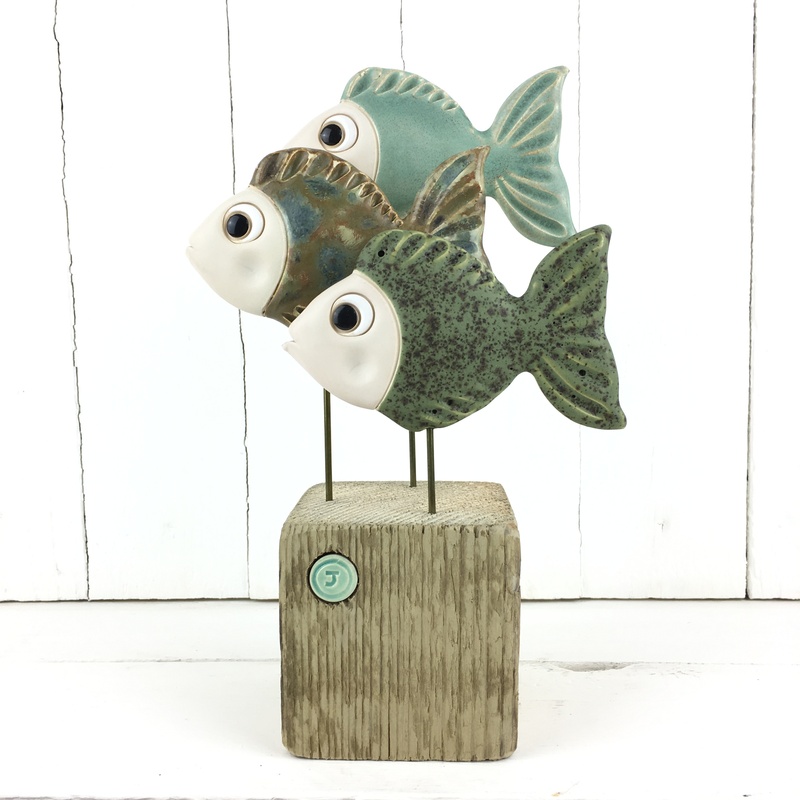 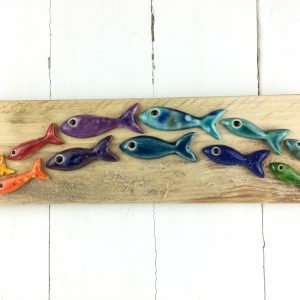 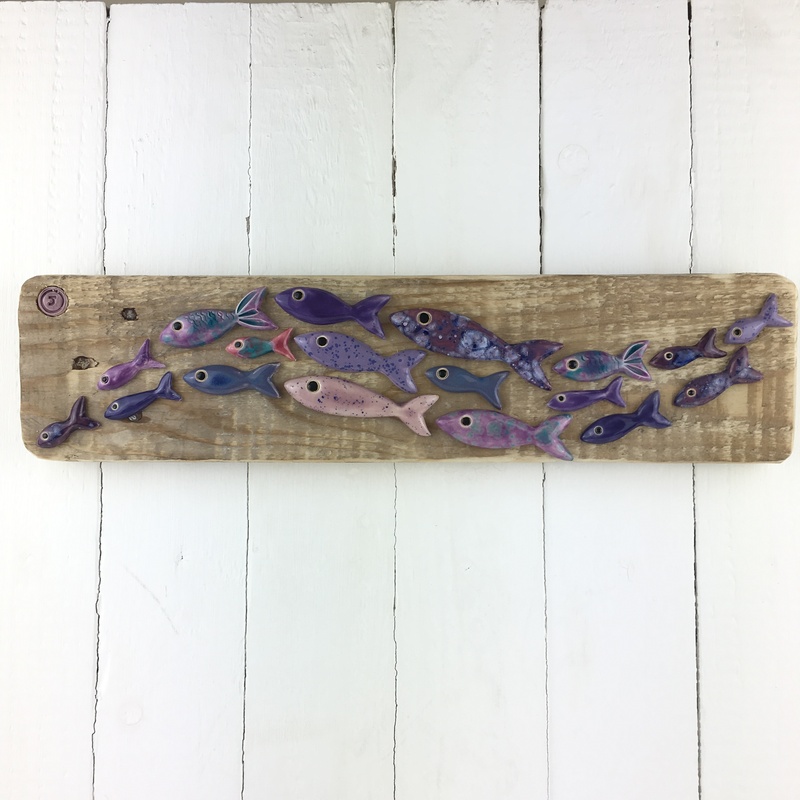 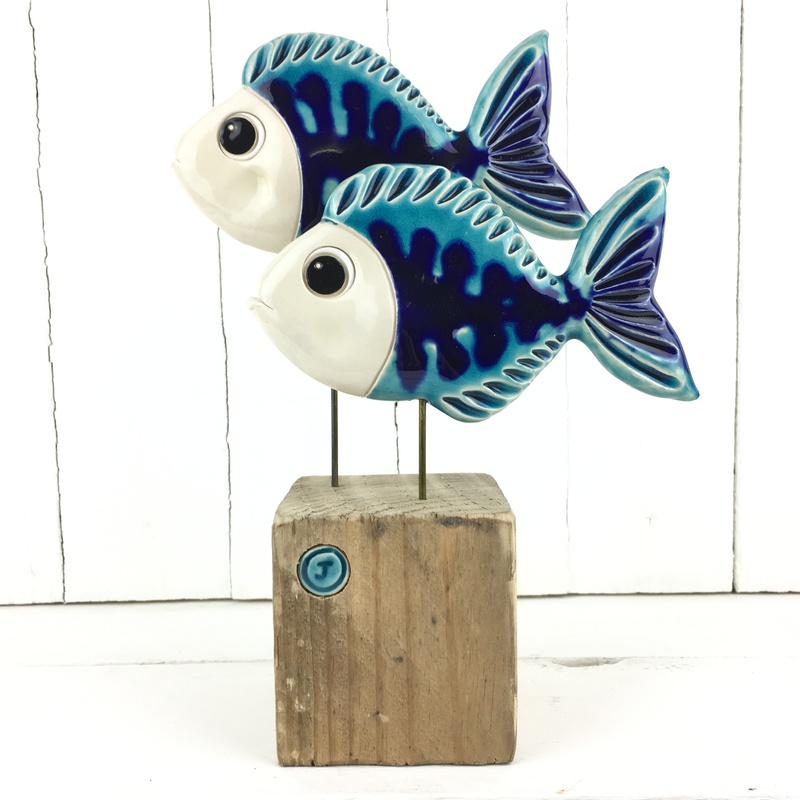 The ceramic rainbow fish are individually glued on driftwood collected from Jersey’s beautiful beaches to create a shoal wave. 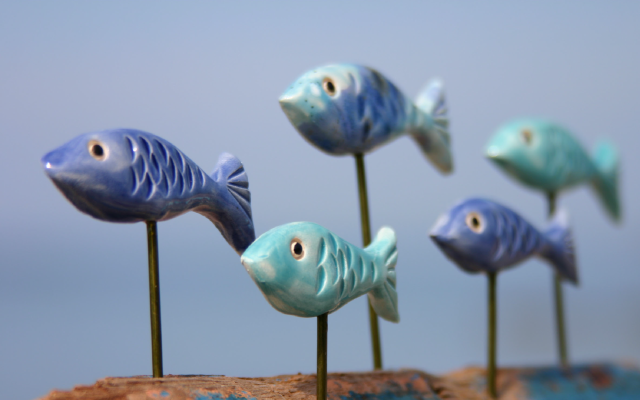 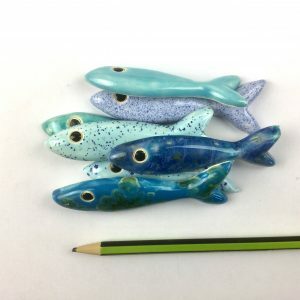 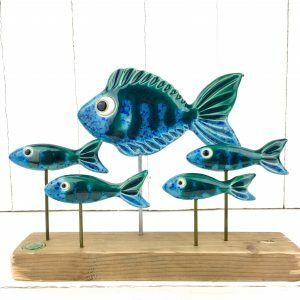 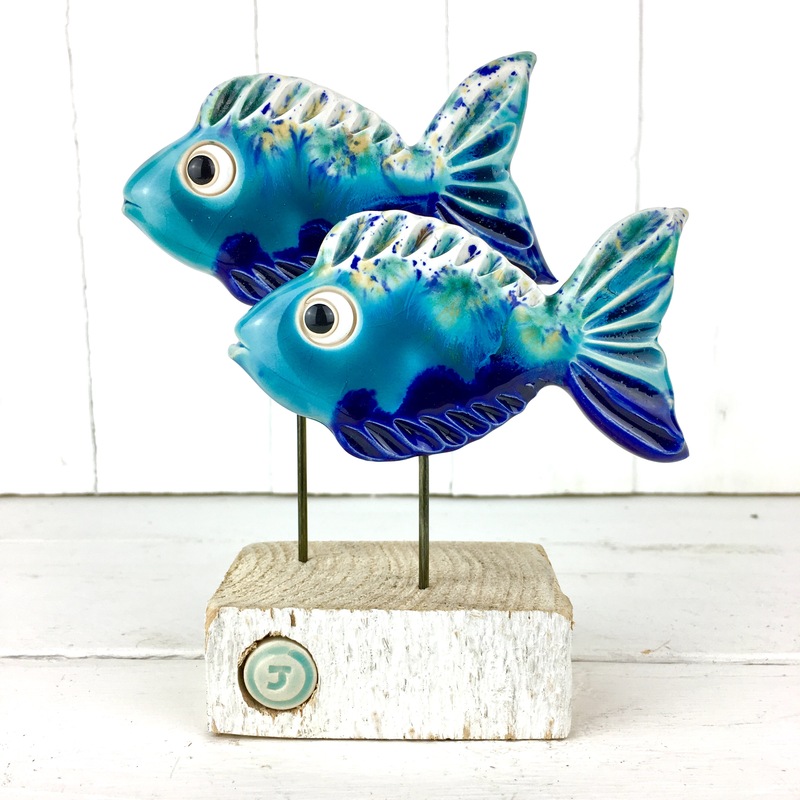 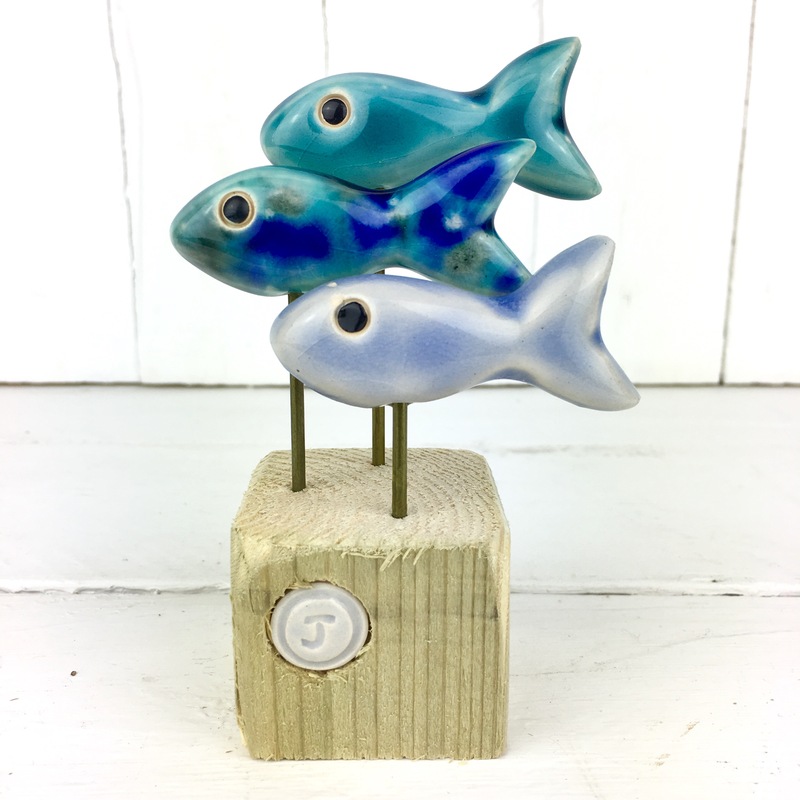 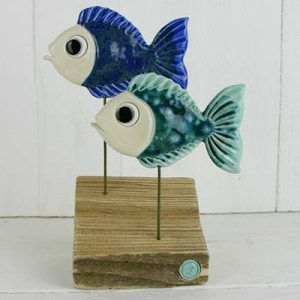 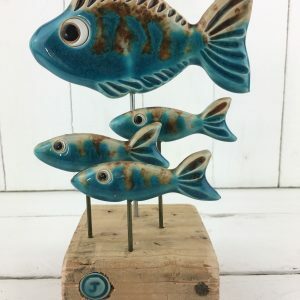 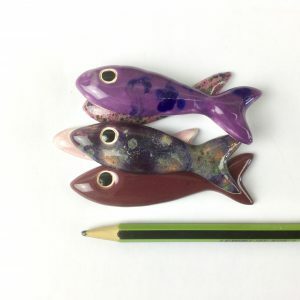 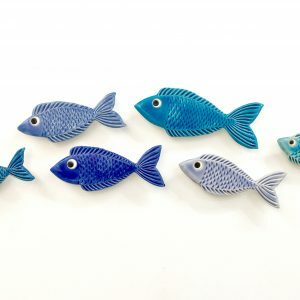 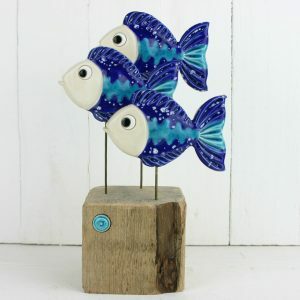 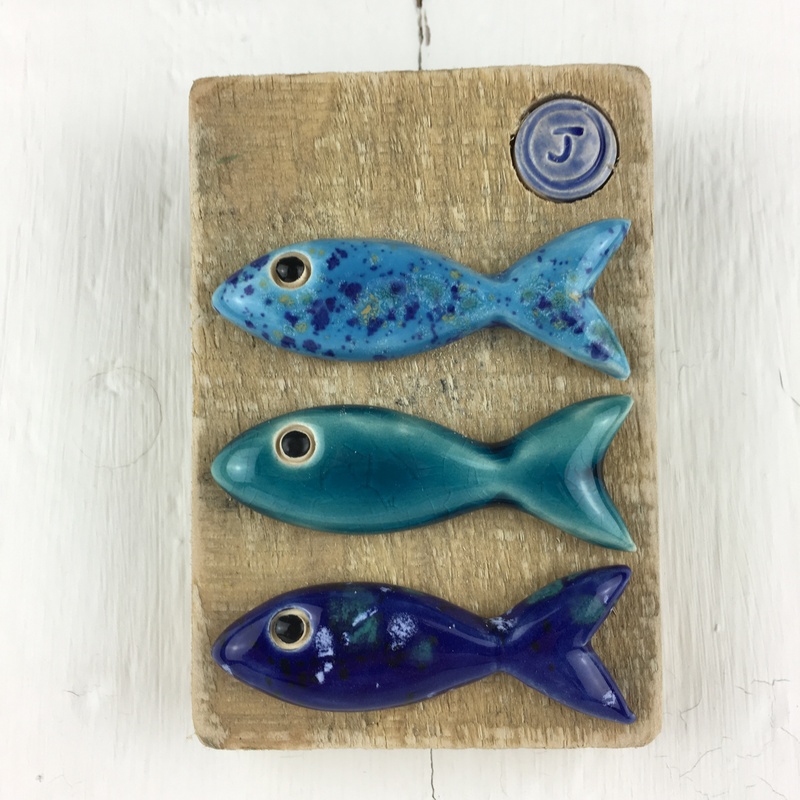 Like a tester pallet of blue glaze these three ceramic fish are lined up ready for you to choose which one you like the most. 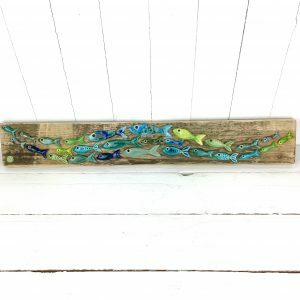 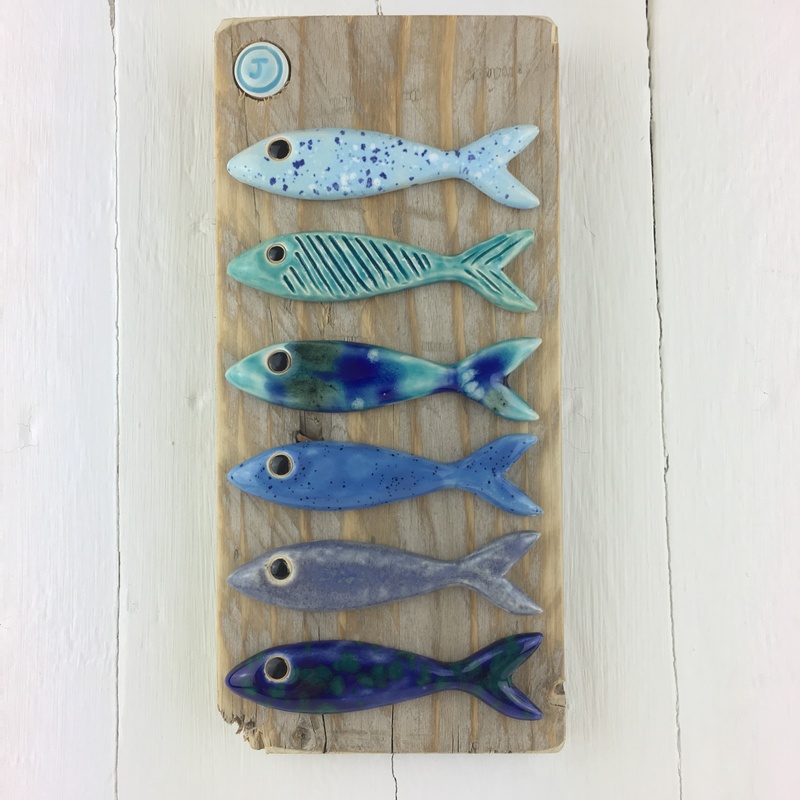 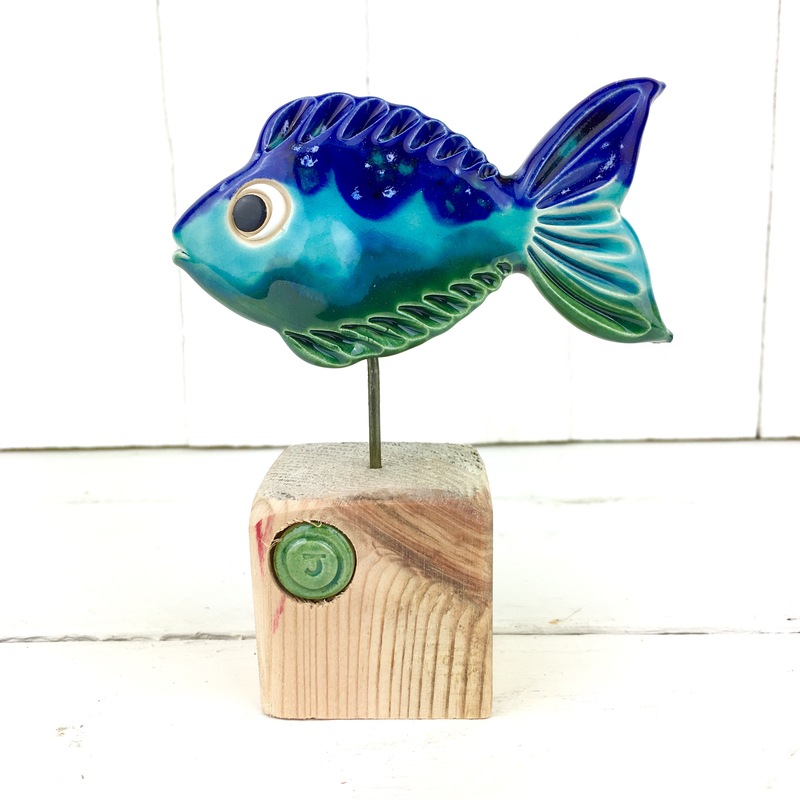 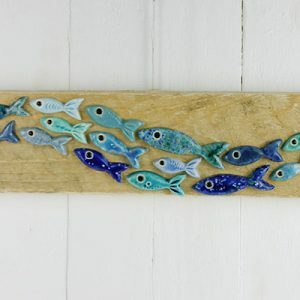 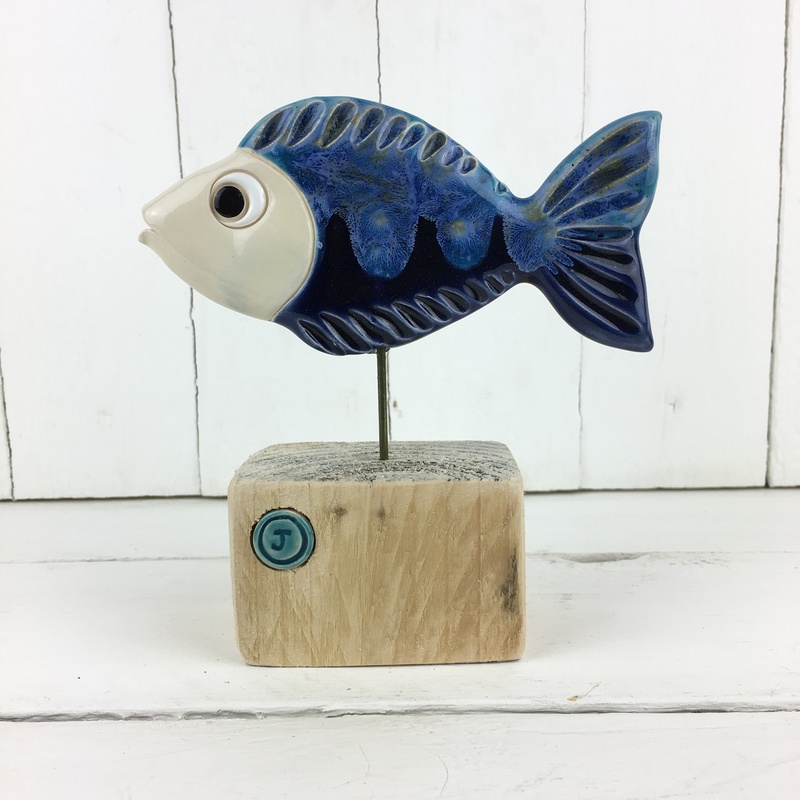 Created using some of our most popular blue glazes and mounted on Jersey driftwood.